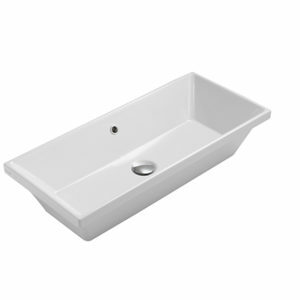 Washbasin 65 x 40cm one tap hole. 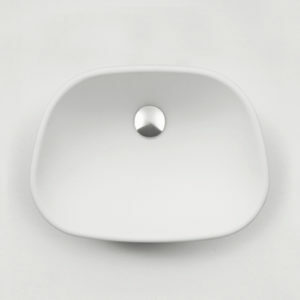 Fixing included. 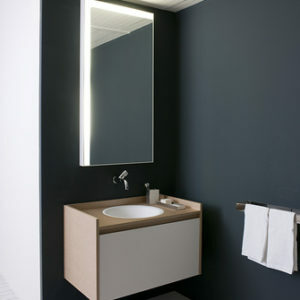 For recessed installation on washbasin shelves. 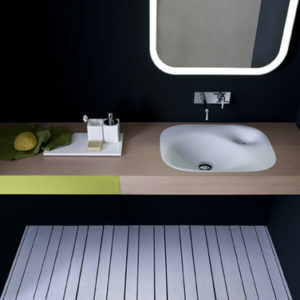 Available in any of the Globo colours. 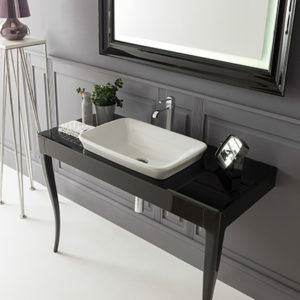 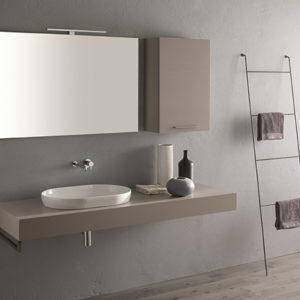 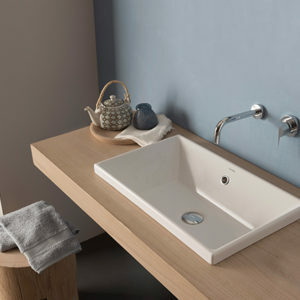 The Nivis washbasin consists of two interconnected cavities, with water running from the main, larger and deeper cavity to the smaller one which has an overflow outlet hole. 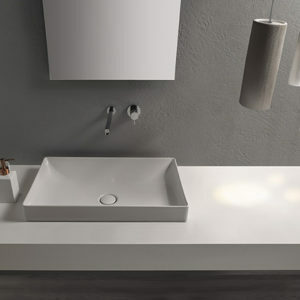 A sculptural design that creates a dynamic and harmonious effect on the solid white mass of Cristalplant® biobased. 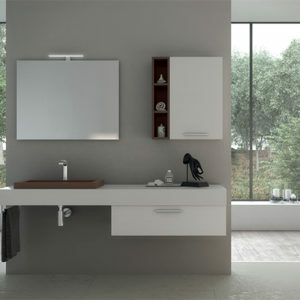 Available in different versions: wallmounted, freestanding or recessed or on tops from the Flat XL and Evoluzione ranges. 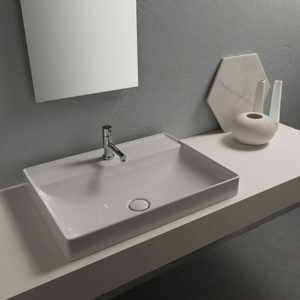 Made in white Cristalplant® biobased, it echoes the unmistakable design style of the bathtub and fittings of the collection of the same name, dominating the space with its soft and strong volume, carved like a monolith. 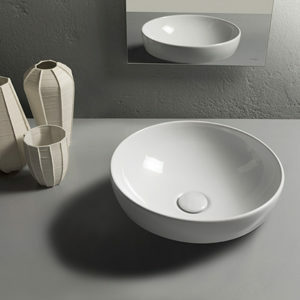 Further potential comes from the semi-recessed version, in white Cristalplant® biobased, with elegant and generous lines.